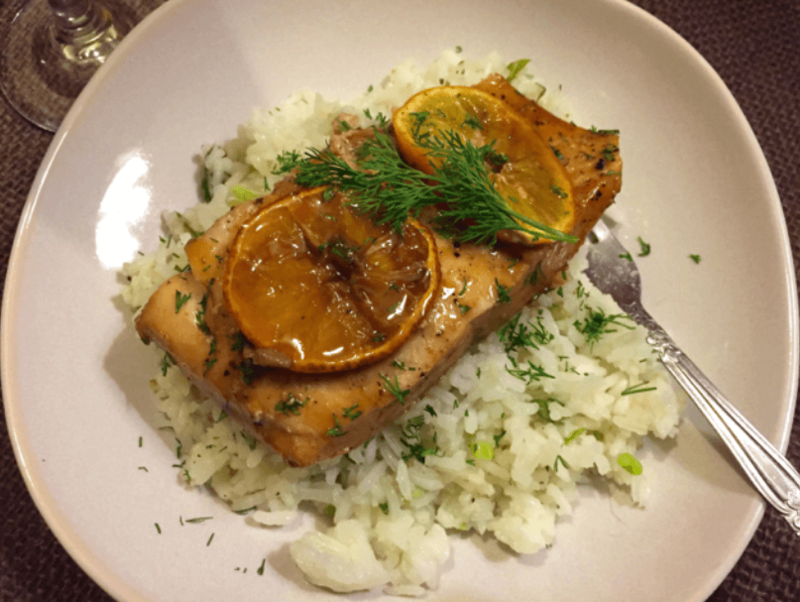 This particular recipe was right up my alley- quick, easy and so delicious. Have you ever bought a big bag of something, then frantically try to use it all up before it spoils? This is what I was dealing with after buying a huge bag of clementines. I hate to waste food, so I was determined to use them all. After browsing clementines on Pinterest, I came across this intriguing recipe. The vodka is cooked out of the sauce, so you don’t taste it, but it elevates all of the other flavors in the dish. You have got to try it, I am definitely going to experiment with using it in other sauces. 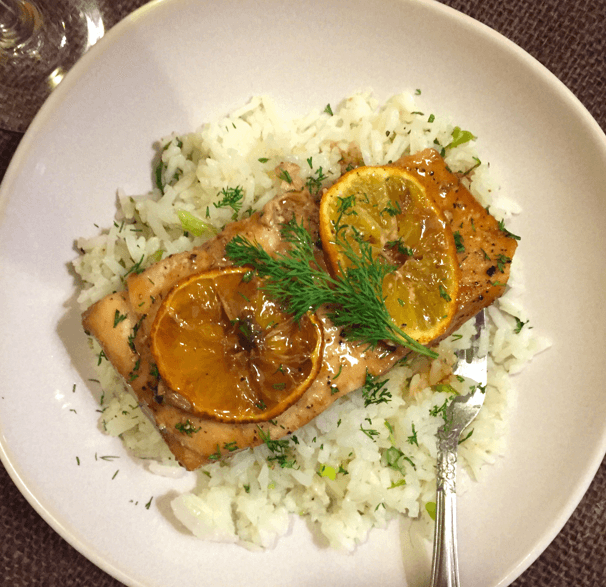 This recipe is great for an easy, yet fancy weeknight meal OR for a dinner party when you don’t want to be slaving over the stove! Preheat the oven to broil at 500F. Coat the salmon with olive oil and season to taste with salt and pepper. Lay the fish skin side down in a small baking dish. Layer with the sliced clementines and smashed garlic. For the sauce, bring the juice, vodka, sugar and soy sauce to a boil, then reduce to a simmer. Cook until the sauce has been reduced by half. 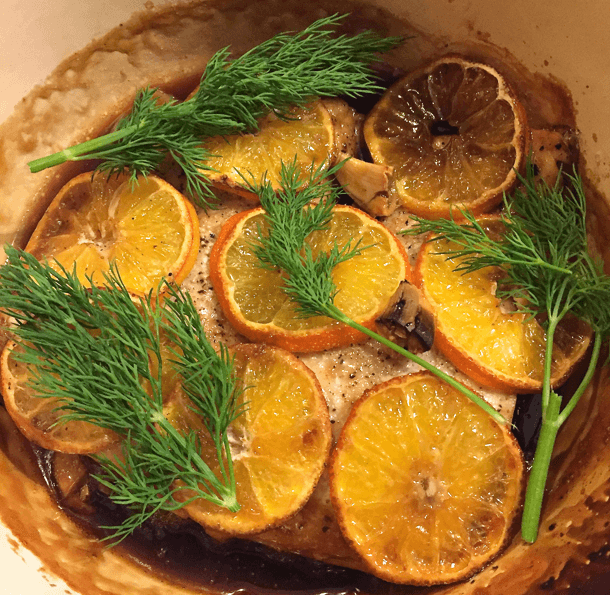 Pour the sauce over the salmon and clementine slices. Broil until salmon is cooked to desired doneness, about 15 minutes. Baste cooked salmon with extra sauce from the baking dish. Garnish with fresh dill to serve.